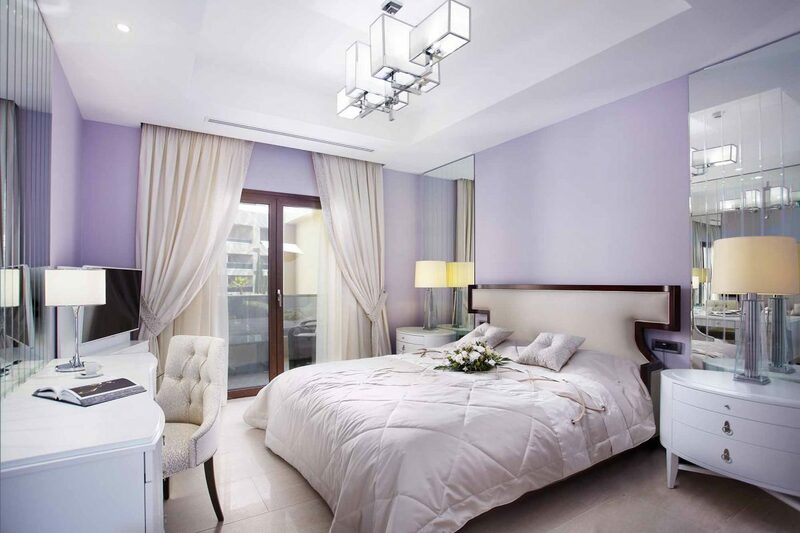 This family friendly thematic suite, stands out with its pastel toned contemporary decoration. It offers two king size bedrooms, a separate stylish living room and two bathrooms with marble interiors (one with a hydro-massage bathtub and one with a shower). Its extensive private balcony provides magnificent views to the resort’s inner landscaped gardens and water fountains. This exclusive suite offers a space of just over 100 m2 and sleeps a maximum of 5 people (4 adults and 1 child) with two single sofas and a couch as standard furnishings in the living room area. Children under the age of 12 years stay free in existing bedding. For further accommodation please check the Standard Suite.